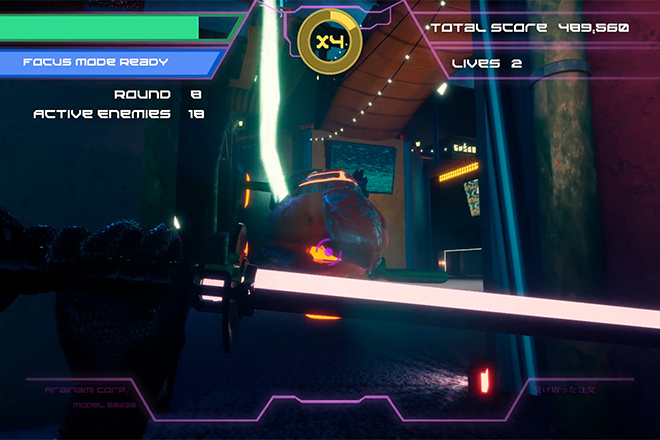 Cyberdrome is a fast paced, first person cyberpunk action game in which you use a high-tech sword and enhanced movement abilities to traverse dangerous environments and kill robots before they kill you. 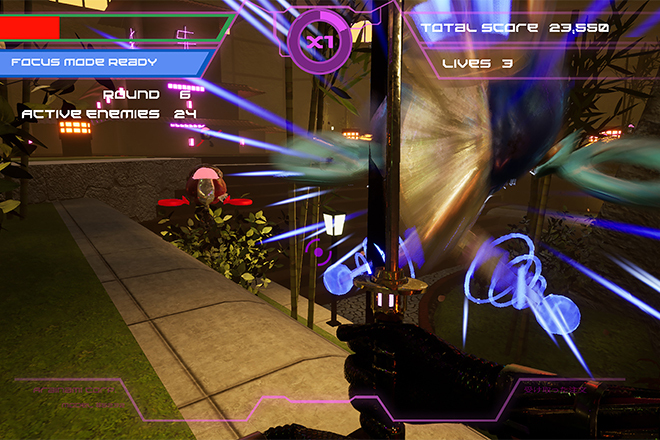 Rather than using guns, the player is only equipped with a sword that can be used to cut enemies in two as well as deflect enemy projectiles back at them. 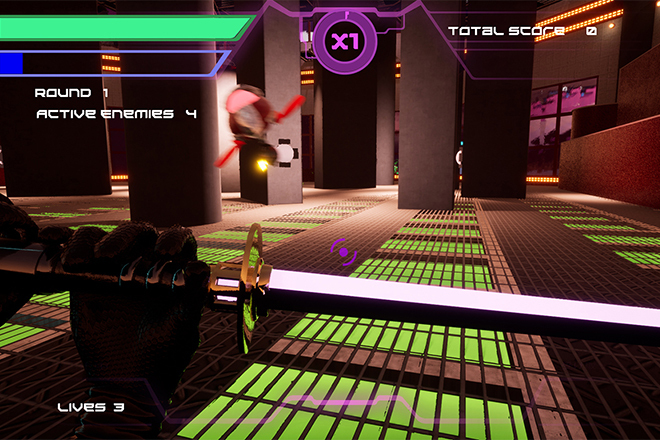 To make up for the lack of ranged attacks, our player has a variety of movement skills such as a forward dash, double jump and wall run. 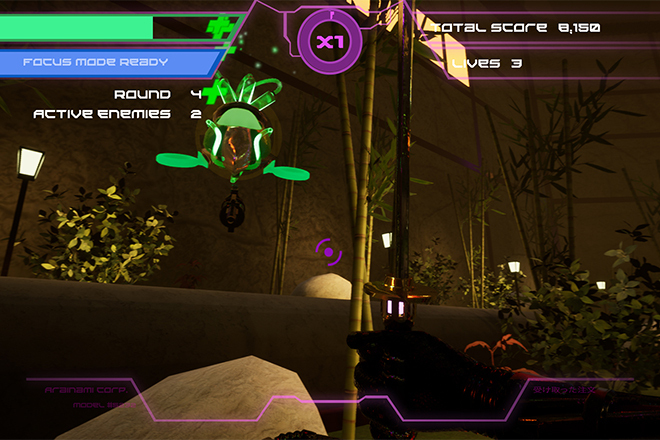 The player also can activate a focus mode which slows time, adds an aim assist with deflecting bullets, and highlights enemies to assist in high intensity moments. 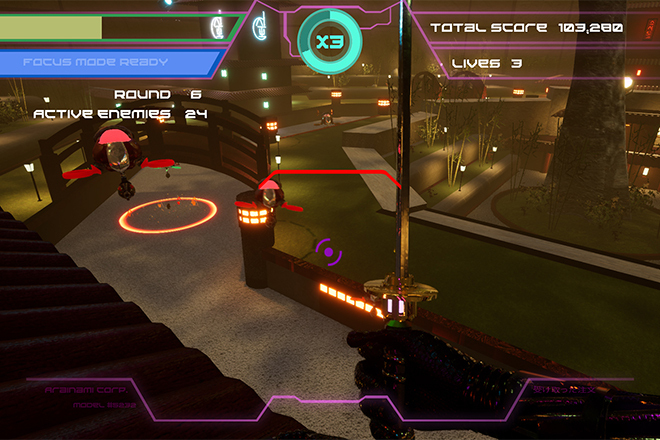 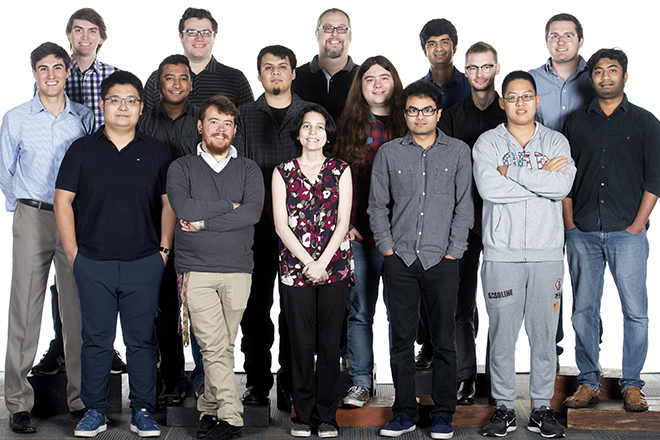 The team started to make this game in early July 2018. 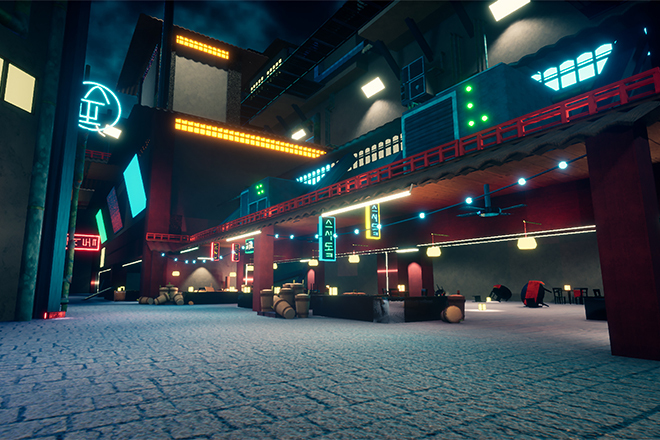 We spent three week prototyping the gameplay ideas and explore technologies on different platforms. 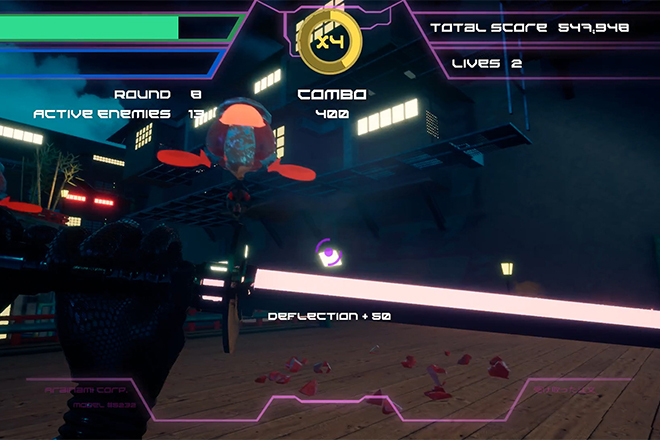 We went into full production mode in late August, changed the game concept from linear narrative action game to arcade style arena game in September, and finally finished the game in early December 2018.